Learn to spin with your new wheel. 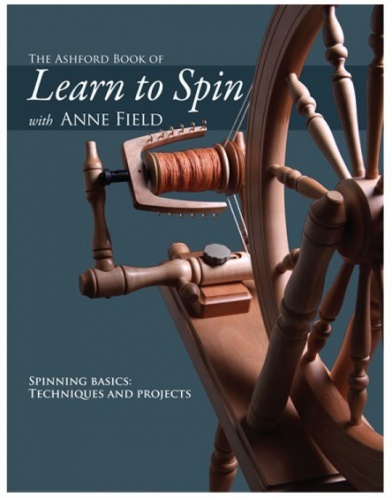 With easy-to-follow, step-by-step directions, Anne guides the novice spinner through all they need to know to get started. She explains the spinning process and techniques, including preparation of fleeces, worsted and woollen spinning methods, plying, adjusting tension, treadling, skeining, drafting and blending as well as helpful advice about spinning wheels and how they work. A wide range of fibres suitable for spinning are featured — wool, alpaca, silk, mohair, cotton, angora, synthetic and blended fibres — with details on the characteristics of each fibre and the best spinning methods to use. Also included are many great projects with full instructions on how to use your newly spun yarns.